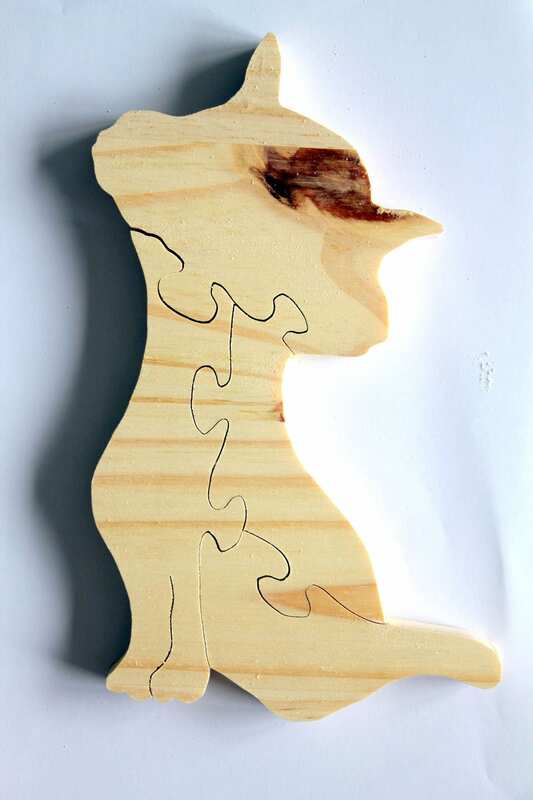 The cat: puzzle pin composed of 4 pieces. 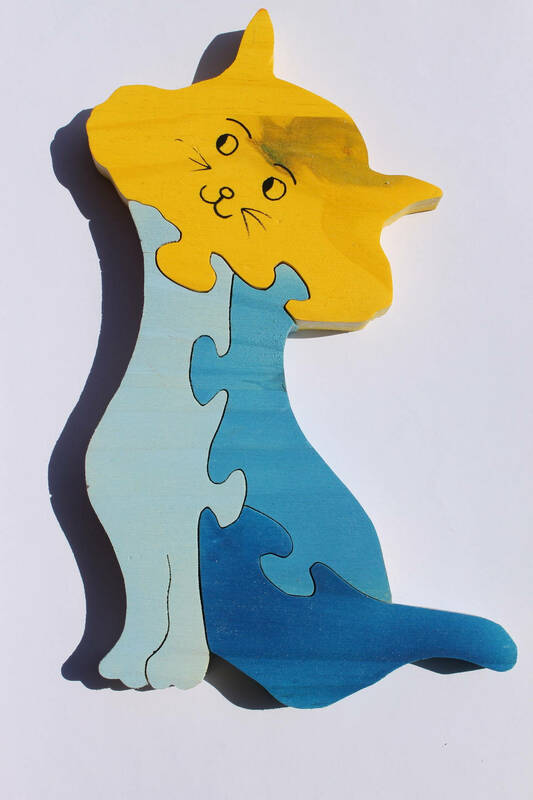 This puzzle helps children to work on different parts of the cat. This puzzle helps toddlers learn to focus to embed items.